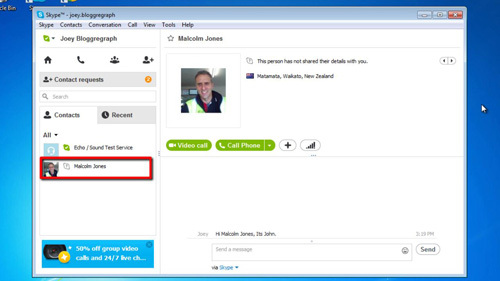 In this tutorial you are going to learn how to send Skype friend request. Open Skype and sign in to your account. Click on “Contacts” in the main menu, go to “Add Contacts” then “Search Skype Directory…”. 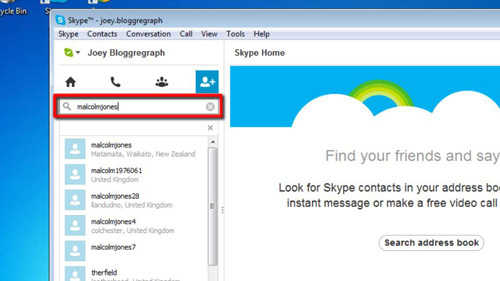 This will open a search field on the left hand side of the Skype window, titled: “Search people on Skype”. Add your friend’s Skype name in this search field, the results update as you type, and are displayed just below the search box. Select your friend from the search list. Step # 2 – Send your friend a request. The selected contact’s details appear in the right hand side of the window. Click on the blue button found near the top right hand corner of this window that says: “Add to Contacts”. A window will pop up with a standard request to allow you to connect to your friend. Modify this text as required and click on the “Send” button found at the bottom of this pop-up window. Your friend request is sent. A question mark is displayed in their status symbol until they reply to your request. This is how to send Skype friend request.